With Fall here, that means the Holidays are quickly approaching! Crazy thought, right?? 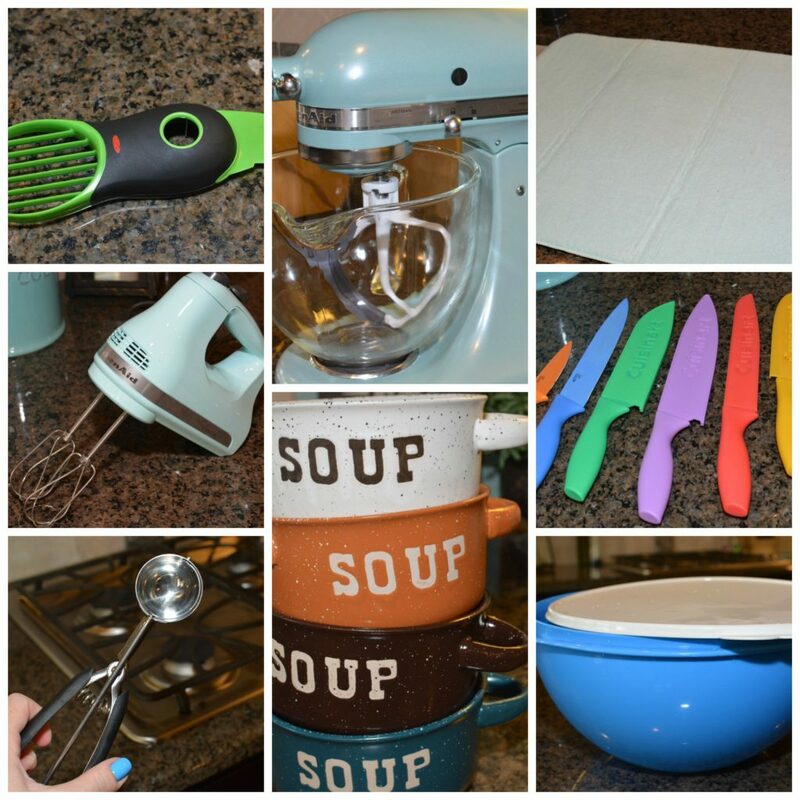 I thought it would be fun to share a few of my kitchen favorites with you all for gift ideas this Holiday season! Small gadgets, to small appliances, and even a dish drying mat!! Let me tell you, this bowl might seem like its too big, or you might be thinking “what would I make in that”?, but this bowl is my favorite ever!! I make pasta salads, puppy chow, and anything else that needs to be made in large serving sizes! It comes with a lid for easy storage, can go into the dishwasher, and is a fun color! A few years back, my sister in law bought this as a gift for me. Little did I know at the time of receiving this how much of a favorite it would become of mine. My hubby and I both use this frequently! Especially when we make our tasty guacamole!! Not only does it cut the avocado in half, but also removes the pit, AND slices it in one swipe! 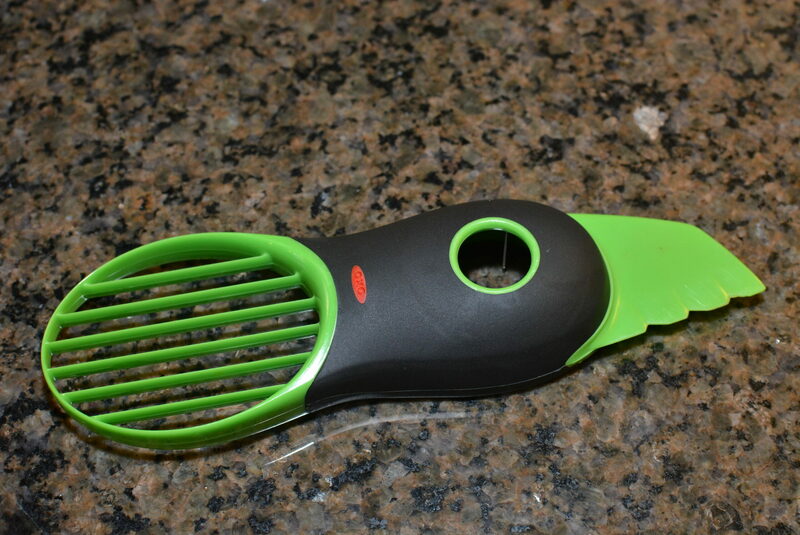 So convenient, handy, and a great gadget for those that use avocados in salads, make guacamole, toppings, etc. About a year ago, my hubby and I went over to a neighbors house for dinner. That’s when we noticed this knife set and I immediately told my hubby I NEEDED to have one. My knives at the time were old and no longer sharp, so needed to be replaced. 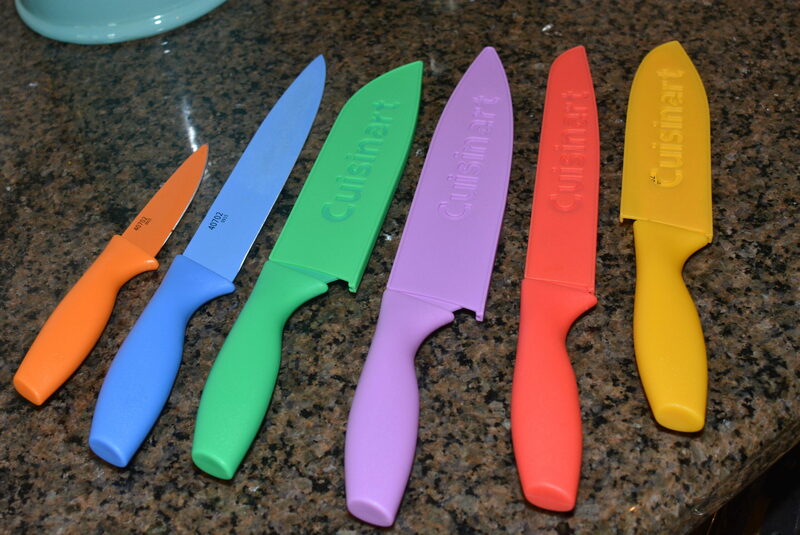 Not only do these come with a cover, but they are colorful, sharp, and dishwasher safe! I use mine each and every day!! Plus, the price is very reasonable!! 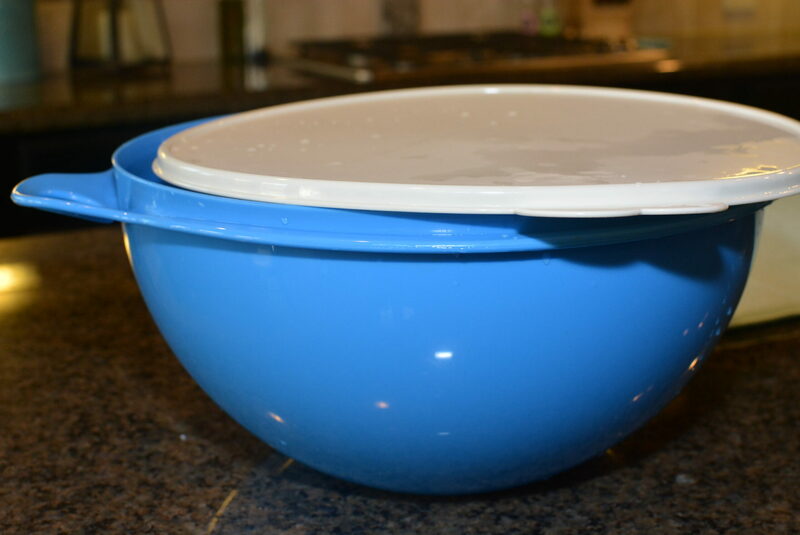 These bowls are the newest addition to my kitchen and quickly becoming my go to! Not only are they extremely cute, but they come with a matching spoon, are the perfect size for soups/chili/stews, and are dishwasher safe. These come in a set of four bowls with spoons! 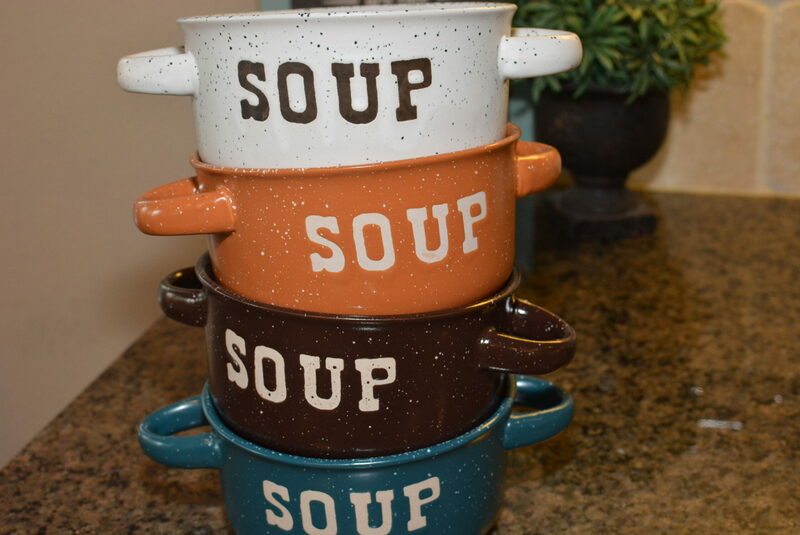 With Fall season among us, these are a fun way to serve your soups! Years ago, when these first came out, my mom bought me one and said it was a must try. Believe it or not, my hubby actually does all the dishes in our house, so it was more for his use than mine, haha. We immediately fell in love with the convenience of this due to the fact we no longer needed to store a huge drying rack, its machine washable, came in cute colors, and the price makes it replaceable after a year or so if needed. 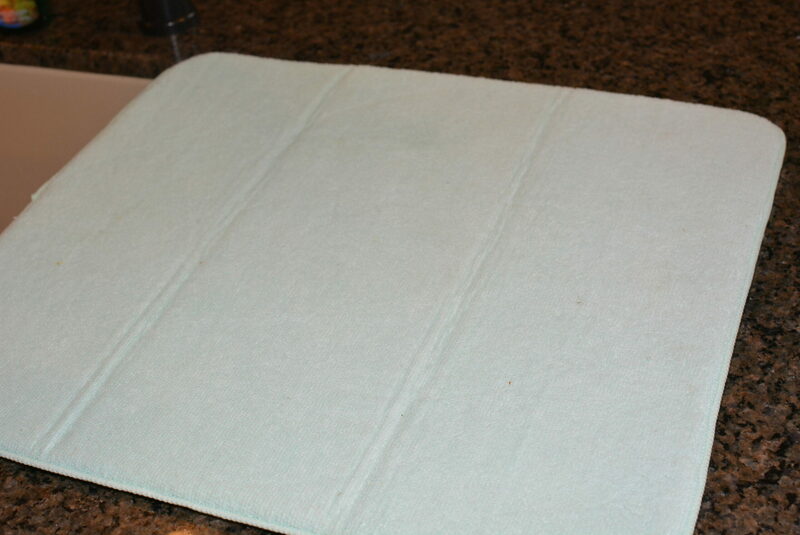 We keep it folded up under our sink and pull it out each evening when its time to do the dinner dishes! Definitely recommend this as a stocking stuffer, gift for newlyweds, etc. My hubby recently bought this for me for my birthday. I changed my kitchen theme to a turquoise color and when he saw this, he knew I would love it. 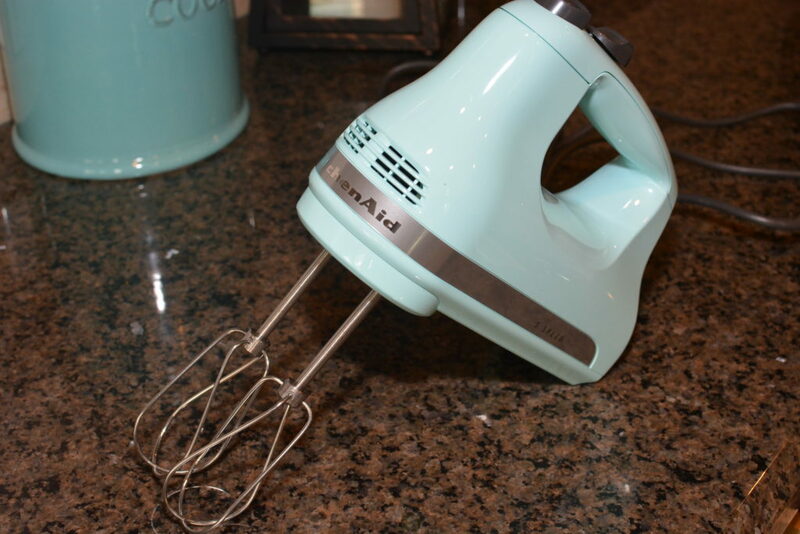 I had had the same hand held mixer since we first got married, about 11 years ago. Although it still worked, it was time for an upgrade based on the fact that it didn’t have the same power it once did. After trying this out for the first time, not only is it much more responsive than my old one, but it comes in cute colors, has 5 speeds to choose from, and is a great price! When my hubby and I first were married, we had enough gift cards from friends and family to buy most of our kitchen gadgets entirely. One of our splurges was a Kitchen Aid mixer. I chose pink at the time because I thought it was cute (I was only 19 years old, hehe). I used it each and every day, sometimes multiple times. We moved it from Illinois, to Texas, Washington, and back to Texas over the years before finally deciding it was time to get a new one to change out the color to something that matched our new house. After 11 years, it still worked just as good as day one, which only proved that I would continue sticking with the Kitchen Aid brand. 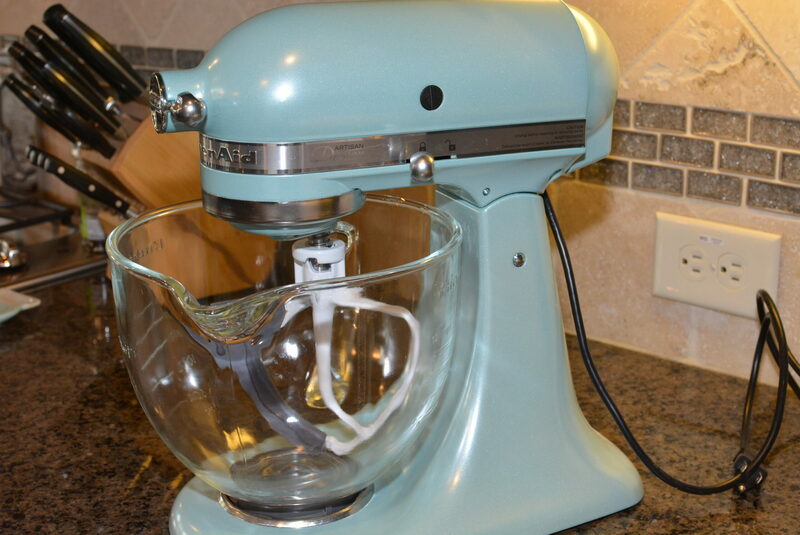 We chose this 5 quart version with glass bowl and silicone scraper and LOVE it! 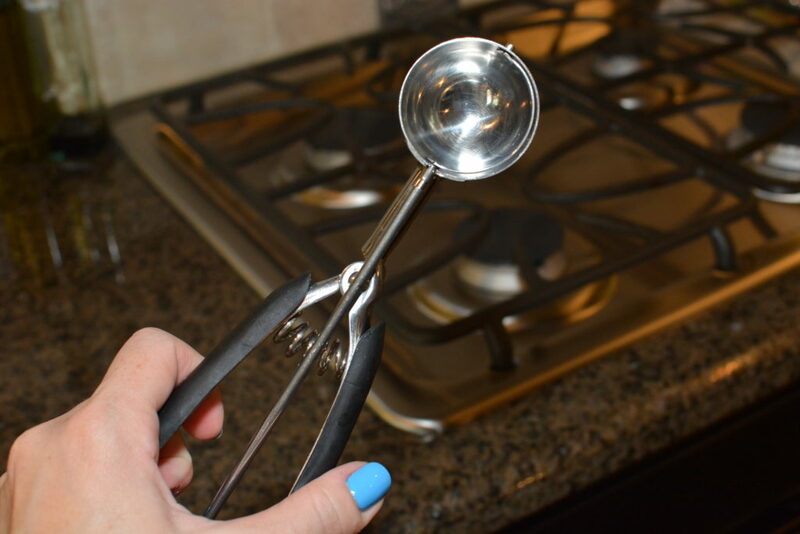 The glass bowl is also a measuring bowl, so its great for when I am mixing liquids! Highly recommend this as a mixer for anyone who loves cooking, baking, and anything that calls for mixing!! Last Christmas, my hubby bought this for me as one of my stocking stuffers. It makes the cookie process SOOOOO much faster because it literally allows me to scoop and bake! I prefer the small size, however, I also have the medium one for bigger cookies, so its just a preference! No more cookies that are different sizes, this keeps everything uniformed!